Welcome to the Annual Report for Jumpstart’s 2017-2018 program year. There is a saying: “Equality is giving everyone a pair of shoes; Equity is giving everyone a pair of shoes that fit.” At Jumpstart, educational equity is our goal. That means that every child in every classroom across the country will not have the same experience. We know well that formal education — the time each student spends in a classroom — does not happen in a vacuum. Every child who crosses a teacher’s threshold is walking in the door carrying their own life experiences, assets, and needs. One child may know the alphabet well already but is still working on how to explain and manage their emotions. Another may not have had many early reading experiences but is skilled at sharing and helping others. The key is to suss out: what skills has this child already learned that I can continue to nurture? Where do they need more support? This is a challenging task — figuring out a child’s “shoe size.” But it is at the heart of what we do at Jumpstart — providing an early education solution that meets the needs of the individual children and communities we serve while also advocating for change that ensures all children have what they need no matter where they live. 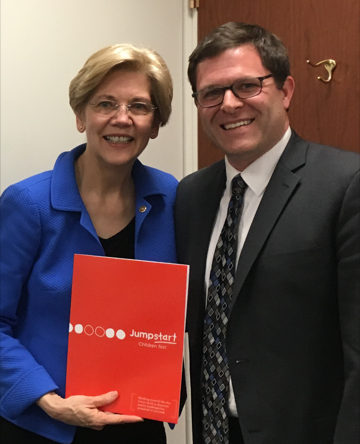 Jumpstart works to make high-quality early education a reality for EVERY child through our direct service in communities, developing a high-quality early education workforce, and by advocating for policies that promote early education for all. Since 1993, Jumpstart has served over 120,000 children through our programs in communities across the country. 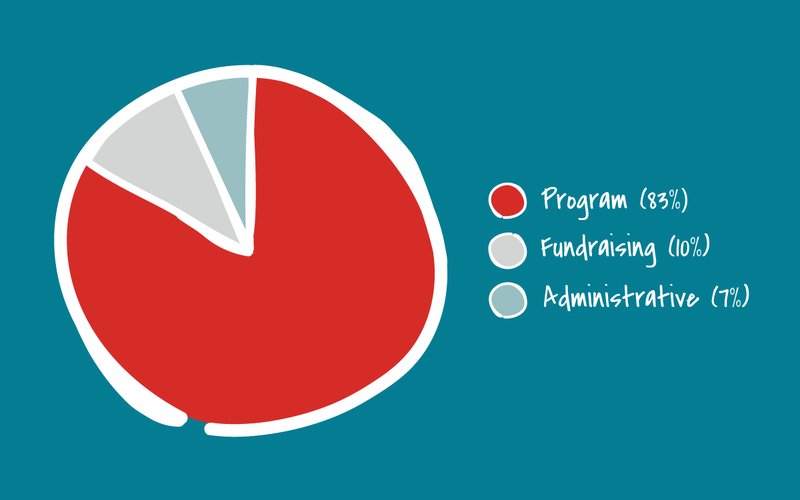 Jumpstart aims to keep our overhead low to direct as much funds as possible to the important work we do in communities around the country. 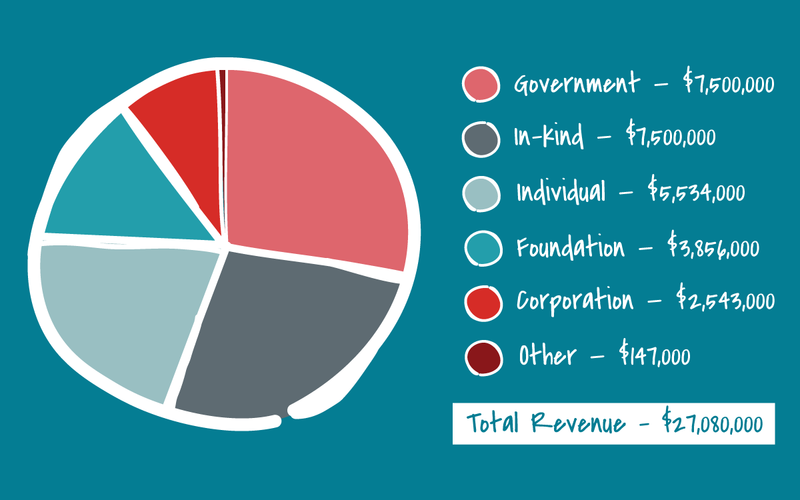 Thank you to the generous individuals, foundations, and corporations who make our work possible through their contributions. Jumpstart began as a direct service program with the goal of breaking the cycle of poverty by helping young children in underserved communities succeed in school. Twenty-five years later, that is still at the heart of what we do. 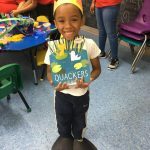 Each year, over 4,000 community and college student volunteers (known as “Jumpstart members”) serve in preschool classrooms across the country using our evidence-based curriculum to help young children develop the language, literacy, and social-emotional skills they need to live up to their potential for success in kindergarten and beyond. Jumpstart members lower the child-to-adult ratio, and become well-loved fixtures in the classroom. 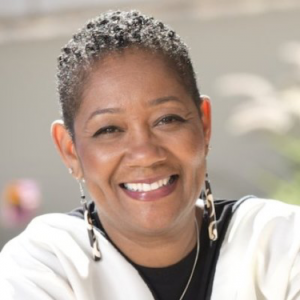 And today, our program has grown and adapted to include a variety of formats designed to meet the unique needs of each community we serve, whether that be through traditional school-year service, summer or extended day programs, or through community partnerships. 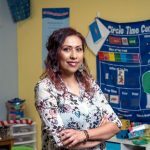 Jumpstart is perhaps best known for the work we do to provide an evidence-based curriculum to help preschoolers in underserved areas across the country enter kindergarten prepared to succeed. But, we also know that the best way to help all children receive high-quality early education is to ensure a high-quality early childhood education (ECE) workforce. 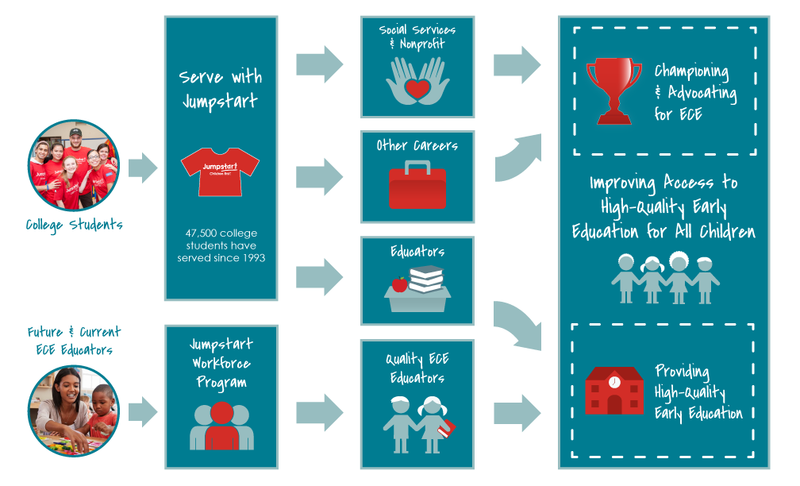 Beginning in 2017, Jumpstart expanded our focus on the ECE workforce in two ways: by developing programs that encourage and support our college student volunteers (known as “members”) to enter the teaching profession after graduation and by creating programs to work directly with current early education practitioners to support their work in the classroom. For twenty-five years, Jumpstart has trained thousands of college students and community volunteers to foster the development of language, literacy, and social-emotional competencies in young children from underserved communities across the country. Even as we provide the transformative power of our program to tens of thousands of children, we remain acutely aware of the needs of the millions of children in schools and communities in which Jumpstart does not yet serve. Jumpstart firmly believes that the most effective way to unlock the potential of each and every child and disrupt the cycle of persistent poverty in our country is to ensure that high-quality early education taught by qualified and effective educators is available to all. 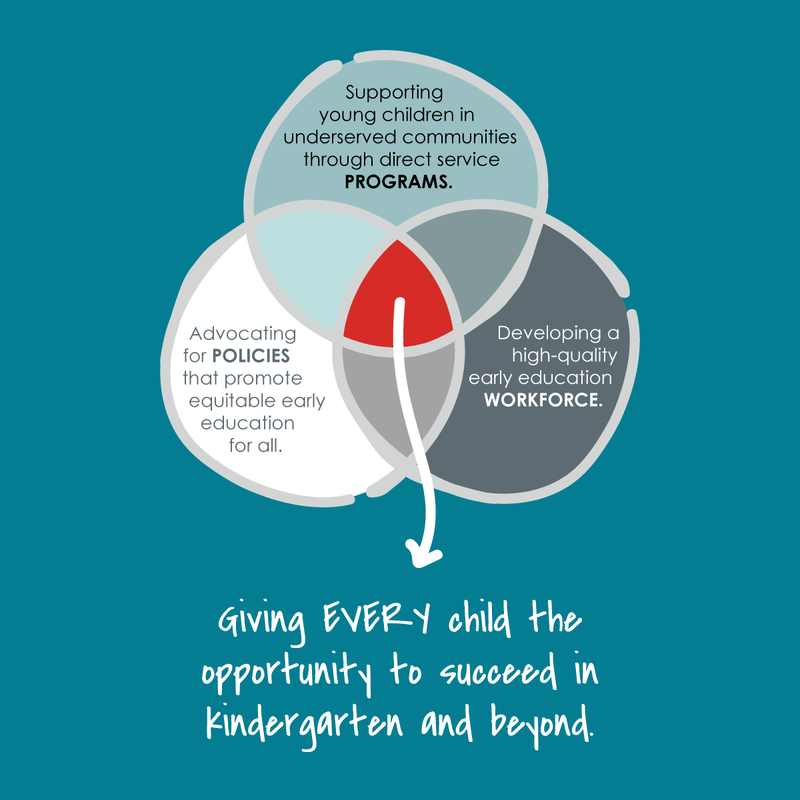 To achieve this, Jumpstart established a Policy & Government Relations department in late 2016 to transform early childhood education in the United States through policy advocacy. 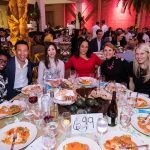 In 2017-2018, Jumpstart’s National Board of Directors expanded to include a new, diverse group of leaders in education, finance, and philanthropy. 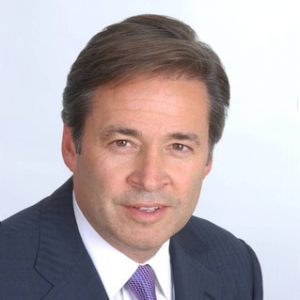 Learn more about Jumpstart’s Board of Directors and Leadership Team here. This publication was produced prior to the completion of Jumpstart’s financial audit for Fiscal Year 2018. All figures are preliminary and subject to modifications or adjustments. You can visit our Financials page to view audited financials for previous years, and check back in early 2019 for updated financials.